Item # 317224 Stash Points: 2,995 (?) This is the number of points you get in The Zumiez Stash for purchasing this item. Stash points are redeemable for exclusive rewards only available to Zumiez Stash members. To redeem your points check out the rewards catalog on thestash.zumiez.com. Keep your look care-free in the Stress Black & Orange T-Shirt from Artist Collective. 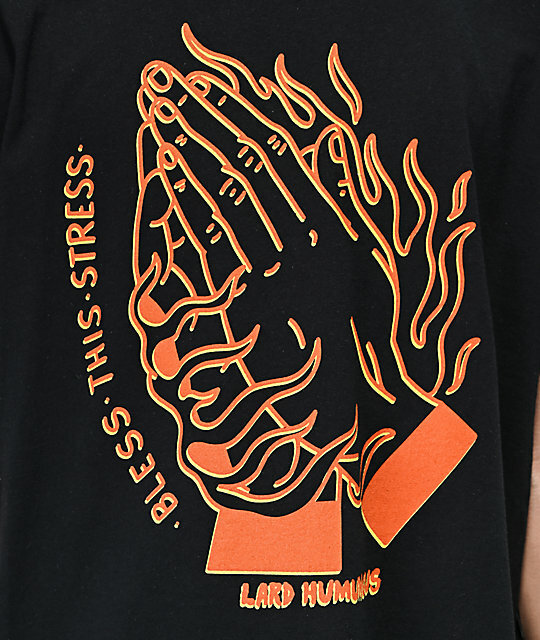 This black tee features graphics created by the artist, Lard Humungus, of two praying hands on fire, along with text that reads "Bless this stress." A relaxed fit and pure cotton construction keeps things comfortable for all of your casual looks. 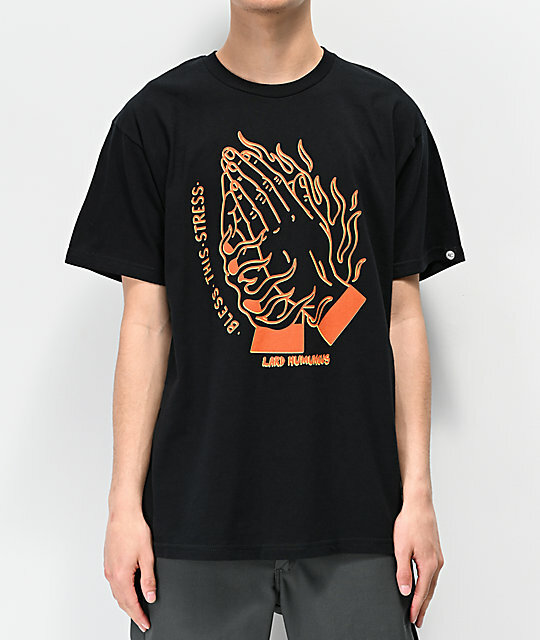 Stress Black & Orange T-Shirt from Artist Collective.